Recruitment,Insurance,Postal and Other state level recruitment tests(TSPSC,APPSC etc)).This section consists of questions on G.K.(General Knowledge) and Current Affairs. 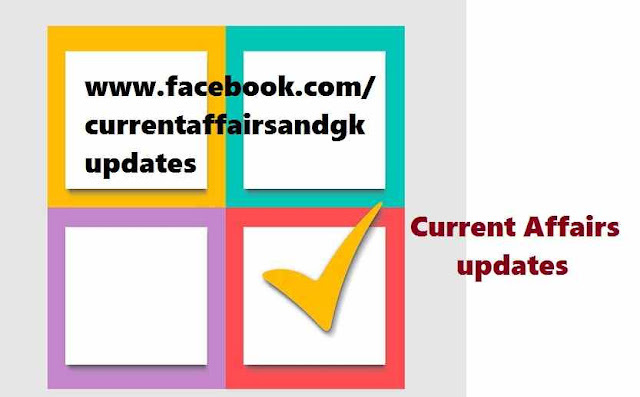 Current Affairs updates till 23 August are furnished.Updates on 21 August,22 August and 23 August are covered. 2.Twitter,Micro-blogging site has renamed 'Twitter Publisher Network' which helps advertisers connect with the audience as 'Twitter Audience Platform'. 3.Indian Shuttler Saina Nehwal regained her 1st rank in the women's singles Badminton World Federation (BWF) rankings. 4.Senior Police Officer Karnal Singh is appointed as the director of Enforcement Directorate.He repalced Rajan S Katoch. 5.Mo Farah won 10,000m World Championship Gold.He leaves all his Kenyan 10,000m rivals on the final lap to win Gold at the World Championships in Beijing. 6.India's Aditi Ashok made history.She became the first from the Country to win the Ladies British Amateur Stroke play golf championship at the Moortown Golf Club (United Kingtom). 7.Usain Bolt defeated Justin Gatlin to win world 100m title at 2015 IAAF World Championships in Beijing.Bolt is the third man after Carl Lewis and Maurice to win three world championship titles. 8.Kumar Sangakkara,Sri Lanka made 18 runs in final innings before retirement.The 37 year old is the fifth highest test run scorer in history was given a guard of honour by India's fielders in the second test in Colombo.